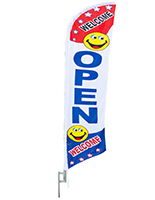 The message flag with water base shown on this page is the ideal banner for a store or shopping center. 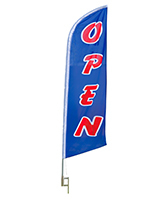 The “OPEN” text informs potential customers that your shop is available for business. 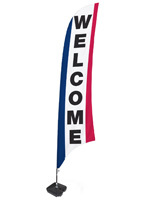 Each red, white & blue flag has the font in black to be eye-catching and stand out in any setting. 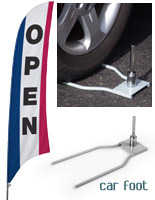 Feather banners come with a plastic fillable container for the bottom to stabilize the display when in use. 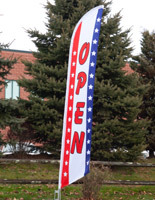 An “open” flag can be used inside a mall or outside on the sidewalk. 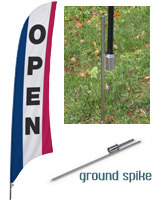 Regardless of the setting, these feather banners are a great return on investment. Thanks for the great review, Maritza! 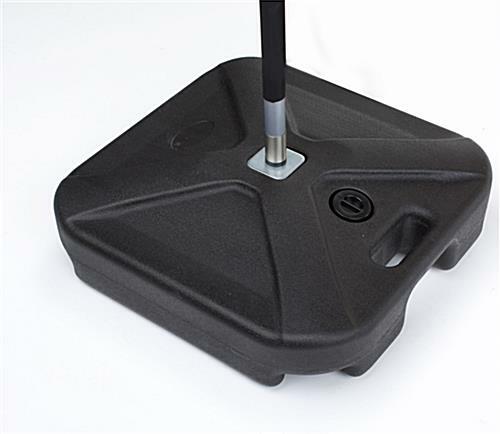 We hope you shop with us again soon.